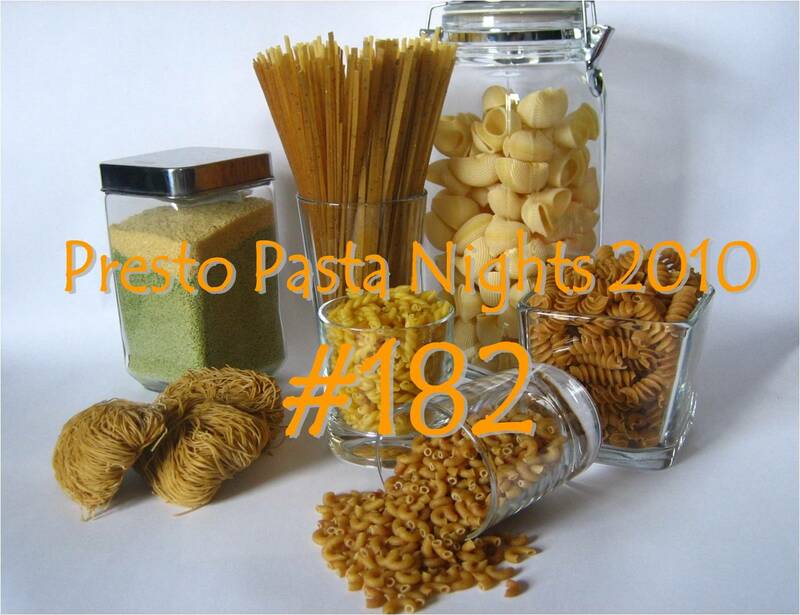 Once Upon A Feast - Every Kitchen Tells Its Stories: Presto Pasta Night #182 - Lookin' Good! Presto Pasta Night #182 - Lookin' Good! What another great Presto Pasta Night Roundup. This week Bellini Valli of More Than Burnt Toast did an awesome job hosting. I love her intros almost as much as I love each entry. Thanks Val! And thanks to all you fantastic pasta makers. Don't forget that next week, I'll be hosting. Just send your entries to ruth (at) 4everykitchen (dot) com.